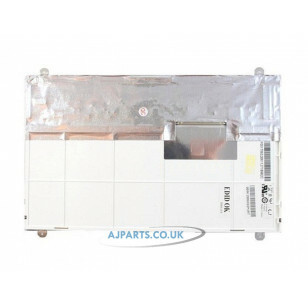 AJ PARTS UK IS ONE OF THE LEADING SCREEN PROVIDERS FOR ALL NOTEBOOK BRANDS AND MODELS. WITH EXTENSIVE LAPTOP PARTS KNOWLEDGE, COMPETITIVE PRICES, QUICK DISPATCH TIMES AND A DEDICATED CUSTOMER SERVICE TEAM, WE STRIVE TO PROVIDE OUR CUSTOMERS WITH THE BEST SERVICE AVAILABLE. WE ARE DISPATCHING GENUINE HIGH QUALITY SCREENS AS SHOWN IN THE PICTURE. ALL REPLACEMENT SCREENS FOR ALL LAPTOPS/NOTEBOOKS/TABLETS ARE GRADE A+ QUALITY AND ALL COME WITH A STANDARD 90 DAYS WARRANTY PERIOD. IF WE DO NOT HAVE THE EXACT SCREEN PART NUMBER IN STOCK, THEN WE WILL BE SHIPPING ONE THE FOLLOWING BRANDS: SAMSUNG ELECTRONICS,LG PHILIPS, AU OPTRONICS, CHI MEI, CHUNGWA (CPT), INNOLUX, BOEHYDIS. PLEASE NOTE: PLASTIC DISPLAY ASSEMBLY, FRAME BRACKETS, AND SCREWS NOT INCLUDED WITH THE PRODUCT. PLEASE CHECK THE PICTURE OF THE PRODUCT BEFORE PURCHASING AS SOME OF THESE PANELS COME WITH DIFFERENT TYPES OF CONNECTORS OR THE CONNECTOR COULD BE IN A DIFFERENT POSITION.